Sabic Innovative Plastics, (Formerly GE Plastics) in Mt. 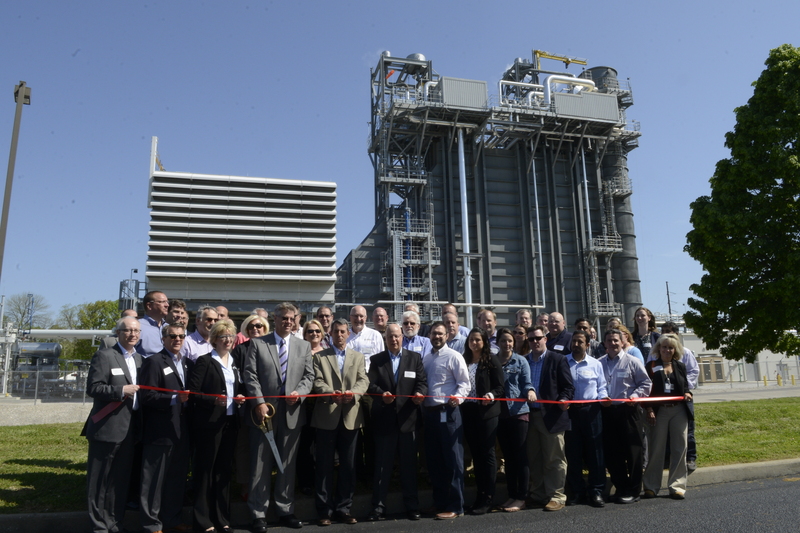 Vernon, IN has decided to partially wean itself from the Vectren grid by building their own electrical and steam generation plant onsite. Their action frees up considerable capacity for Vectren, which still provides back up electricity for the giant plastics manufacturing facility east of Mt. Vernon. 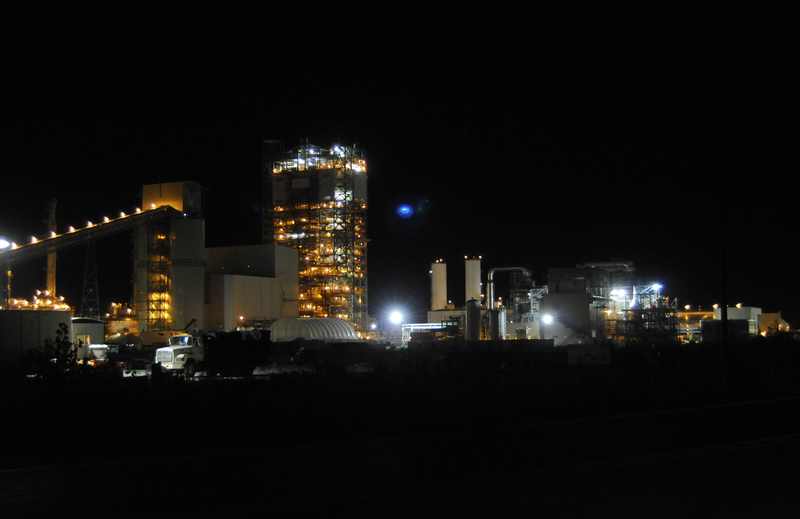 For years and prior to the construction of the cogeneration plant, Sabic burned coal to generate steam used in the manufacture of a broad range of plastics including Lexan and Ultem. Sabic claims the cogeneration plant will create substantial environmental improvements in the region including a 35% reduction in Carbon Dioxide emissions and a 43% reduction in their “non-hazardous” waste primarily consisting of coal ash which previously had to be landfilled offsite. Sabic officially stopped using coal in January of this year.The cogeneration unit is fueled with natural gas from a new thirty mile pipeline which transverses the Ohio River running from Robards, KY.
One interesting fact we learned today was that the plant has about 25% higher generating capacity in the winter than in the summer due solely to ambient air temperature. In the winter, the plant is capable of producing more than 100 Megawatts while summer capacity is rated at 80 megawatts. The plant originally began operations in 1960 by General Electric Company to produce a single product, Lexan but was purchased by Sabic in 2011. In November, Vectren announced the pending retirement of their Warrick County facility Culley 2 as well their Posey County AB Brown plant, a move partially facilitated by the construction go the cogeneration plant. Each day of every year, a quiet disaster unfolds in households and hospitals across the world. More than 10,000 lives are lost worldwide every 24 hours as a direct or indirect consequence of poor air quality. Bad air takes its toll quietly, with no need for the oversized drama of a hurricane or tornado. Sometimes air quality becomes so dangerous that it can’t be ignored. Much of the time, though, dangerous air goes about its dirty work with little attention from policymakers and the public. The World Health Organization (WHO) has dubbed air pollution “the world’s largest single environmental health risk.” It is high time we treated the life-threatening aspects of dirty air, and the life-sustaining properties of a clean atmosphere, with the full appreciation they ought to have. Here at Weather Underground, we are taking steps in this direction by bringing air quality sensors into our 250,000-strong network of personal weather stations. We believe there is great power in being able to measure the quality of the air in one’s own neighborhood and to share that information with the world at large. We are also ramping up our coverage of air pollution issues here at Category 6. Along with occasional guest authors, Jeff Masters and I will be exploring the many facets of air quality, including its effects on people and ecosystems and how it intersects with both weather and climate. For example, Jeff will soon be posting an overview of the health hazards posed by poor air quality. This topic was highlighted on March 6 by a distressing report from the World Health Organization: Each year, respiratory infections linked to indoor and outdoor air pollution and second-hand smoke take the lives of some 570,000 children under the age of 5. That’s roughly 10% of all deaths in that age group each year. Figure 2. Schoolchildren in Delhi, India, wore masks as schools re-opened on November 10, 2016, after three days of closure due to severe smog. Image credit: Sajjad Hussain/AFP/Getty Images. For both children and adults, the air indoors can be just as dangerous as the air outdoors. Each year more than 4 million people die prematurely as a consequence of household air pollution—largely the result of inefficient, smoke-belching cookstoves that are used routinely in developing nations. This toll is even higher than the WHO’s estimate of 3 million premature deaths a year from outdoor air pollution. Even the most pristine places can be touched by the global spread of air pollution. In Antarctica, scientists have found traces of lead trapped within ice cores. Using isotopes (variations in the number of neutrons within an element), researchers were able to track the heavy-metal pollution to industrial activity in Australia as far back as the late 1800s. Today, as much as 25% of the sulfate and mercury pollution along the U.S. West Coast comes from emissions from coal-fired power plants in China. These pollutants take just five to eight days to cross the Pacific on the prevailing upper-level westerly winds. Figure 3. Motorcyclists ride through thick smog on January 9, 2017, in Zhengzhou, China. The nation’s Central Meteorological Observatory issued a yellow alert for smog in Zhengzhou on Sunday night, January 8. Visibility dropped below 50 meters (160 feet) in parts of the city on Monday morning. Image credit: VCG/VCG via Getty Images. If the “clean coal” integrated gasification combined cycle (IGCC) technology promoted at home and abroad by the U.S. utility industry sounds too good to be true, it’s because it is. That’s why Moody’s Investors Services warned the other day that it might downgrade the creditof Mississippi Power Company because of the declining competitiveness of the company’s Kemper County IGCC plant. IGCC is experimental and expensive and may well always remain so. It aims to merge three separate procedures into one unified but exceptionally complicated operation. Step one turns coal into what’s known as synthetic gas, or “syngas,” which is said to be more environmentally friendly to burn than coal itself. Step two removes carbon dioxide from the syngas (rather than taking it out “post-combustion,” as is traditional in coal-fired generation). Step three fires the gas and generates electricity. 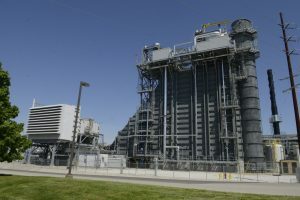 Two IGCC plants have been built in the U.S. in recent years: Edwardsport Generating Station in Indiana and Kemper County Energy Facility in Mississippi. Each is a distinctive first-of-their-kind plant placed into production on a commercial scale at huge costs to ratepayers—by Duke Energy, which owns Edwardsport, and by Mississippi Power, the Southern Company subsidiary that runs Kemper. 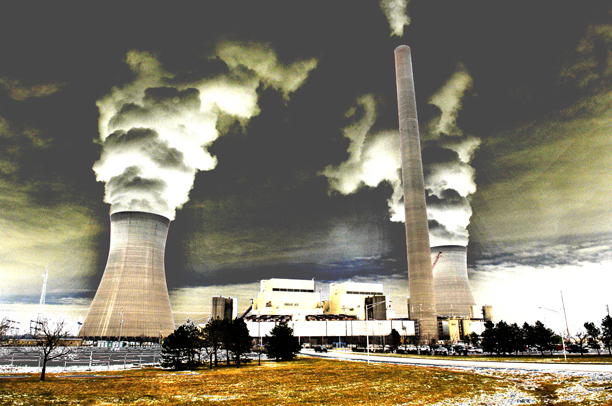 PROMOTED AS THE FUTURE OF CLEAN POWER GENERATION IN AMERICA, NEITHER HAS LIVED UP TO ITS HYPE. Both Edwardsport and Kemper have proven far more expensive to build than originally proposed. 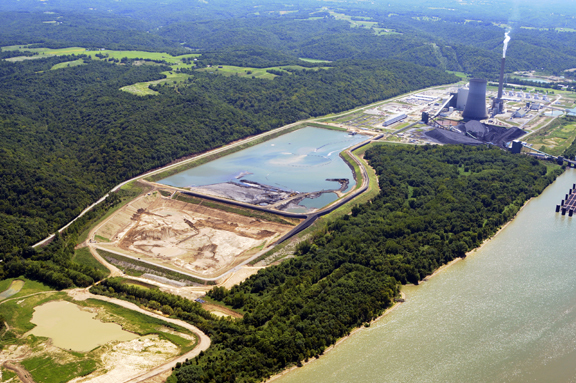 Kentucky’s Energy and Environment Cabinet has finalized a controversial plan to let the state’s utilities virtually self-regulate the storing of hazardous coal ash near power plants. But documents obtained by WFPL News show the process was far from public and instead included more than a year of backroom meetings — under both former Gov. Steve Beshear and Gov. Matt Bevin — with representatives of the utility industry. During that time, documents show the regulations were significantly revised and weakened. When regulators began meeting with representatives of the utility industry in September 2015, the regulations they had drafted (left) were extensive. By the time they submitted the drafts to the Legislative Research Commission in October 2016 (right), the regulations were weakened. Environmental attorney Tom FitzGerald of the Kentucky Resources Council, who has spent more than 44 years working in the state, and oftentimes on workgroups with members of industry and regulators to craft regulations, said to his knowledge, such one-sided input from industry is unprecedented in recent years. “I think it’s unconscionable, and I think it does not reflect well on how little value [the regulators] place on public involvement in the development of regulations that are intended to protect the public,” FitzGerald said. Representatives from the Energy and Environment Cabinet declined an interview request. In response to emailed questions, spokesman John Mura defended the cabinet’s regulatory process. “As a part of the pre-KRS 13A deliberative process of regulation development, it is common for the state to informally discuss regulatory matters with the regulated sector that are directly impacted by those regulations,” Mura wrote. I have a suggestion for President Trump. 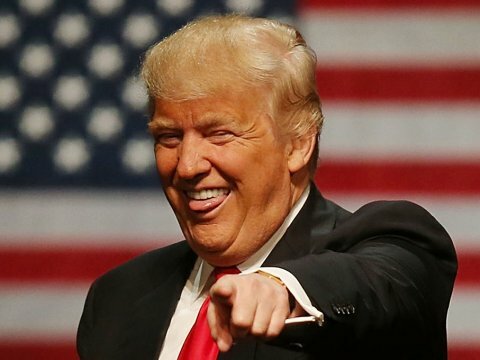 If he is serious about wanting to bring the country “together,” then there is one simple thing he can do to accomplish that. He could nominate Judge Merrick Garland today without hesitation and with that easy gesture, he would show deference to all of America as he outlined in his short speech today. 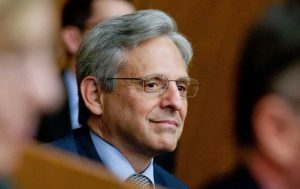 After all, Garland already has support of the Senate Judiciary Committee Chairman, Orrin Hatch, who called Garland a perfect person for President Obama to nominate back about this time last year only to renege when Senate Majority figure head, Mitch McConnell decided that no one Obama might nominate is crazy enough. A Trump nomination of Garland would show that he is intent on following his own Inaugural Address depicting unity of all Americans. If Trump nominates one of the crazies on the list of potentials he released last summer, we could all be in for the ride of our lives. and that is no way to unify America. After being the target of critical editorials in Kentucky’s two largest newspapers, Kentucky’s Energy and Environment Cabinet fired back Thursday with an internet posting that argues its proposed rules for coal combustion waste actually strengthen – not weaken – protection of the environment and public health. 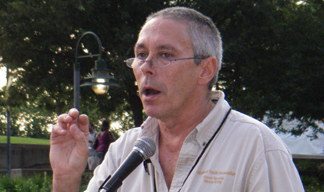 Attorney Tom FitzGerald, director of the Kentucky Resources Council and an expert on Kentucky waste laws, called the state’s argument “pure sophistry,” which means the use of fallacious arguments, especially with the intention of deceiving. The new EPA based rule came after decades of fighting nationally over how ash and scrubber sludge should be handled. Coal ash contains contaminants like mercury, cadmium and arsenic, according to the EPA, and without proper management, these contaminants can pollute waterways, groundwater, drinking water, and the air. On December 16, Vectren Corporation the monopoly electric utility that serves much of southwest Indiana released is latest Integrated Resource Plan outlining its plan to meet their electric customers’ power needs twenty years ahead to 2036. 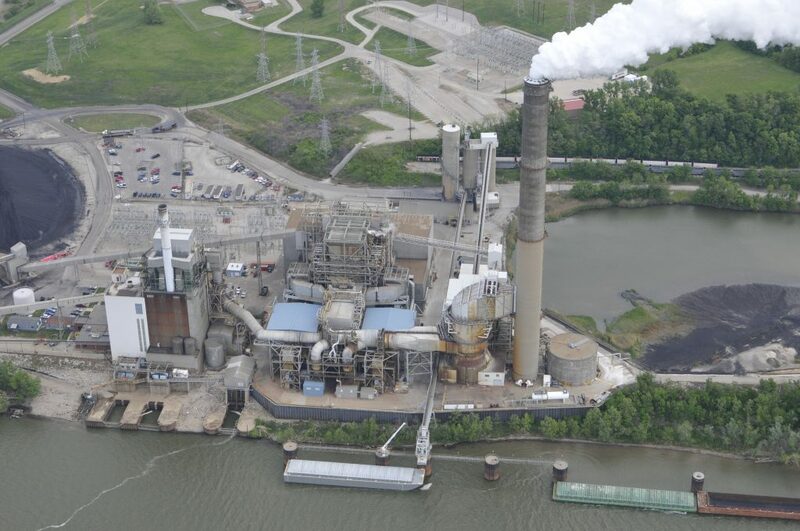 The plan was met with praise from Valley Watch and others who care about the enormous level of coal pollution in the Tri-State region centered in Evansville. 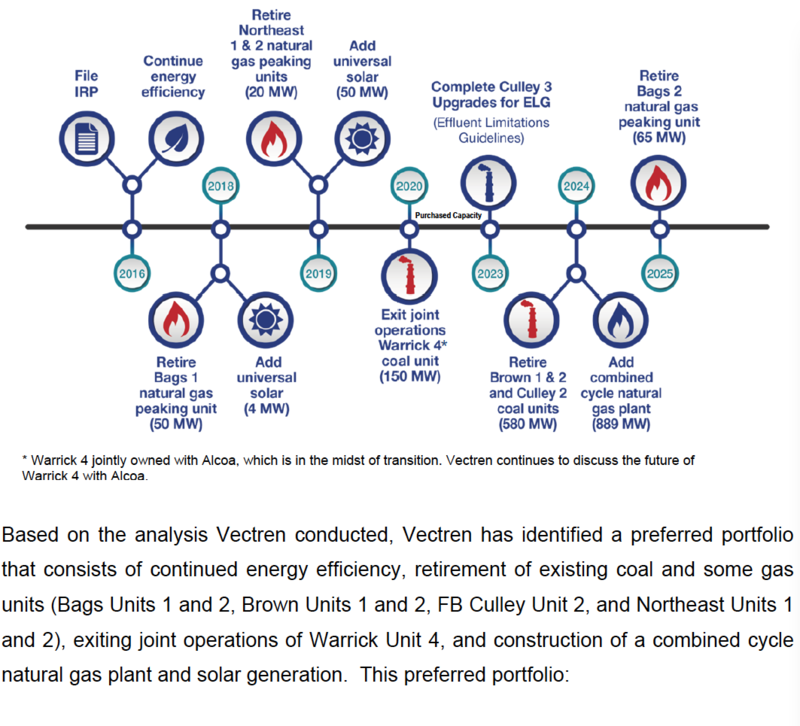 In brief, Vectren proposes to retire three of their four wholly owned coal units by 2024 and to “exit” its contractural operating agreement with Alcoa in Warrick County on a coal unit there. They also announced their intention to build a new Combined Cycle natural gas plant to make up for the lost generation capacity by shutting down the coal units. Duke’s Gibson Station is the second largest coal plant in North America at 3,350 MegaWatts of production. It requires a 3,800 acre reservoir to cool the massive plant. Photo © 2013 John Blair. Air pollution is not only causing long-term damage to the planet and human health, but it is already killing millions of people worldwide. In an editorial published November 14, 2016 in STAT, David Hunter, Vincent L. Gregory Professor in Cancer Prevention at Harvard T.H. Chan School of Public Health, and Francesca Dominici, professor of biostatistics and senior associate dean for research, call for actions that would mitigate climate change in the future—and alleviate the immediate health burdens from air pollution. One in eight deaths worldwide each year is linked to air pollution, according to the World Health Organization. 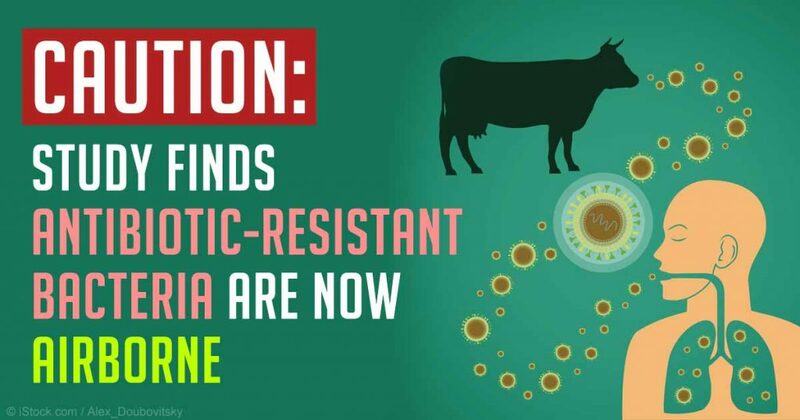 This translates to approximately 7 million people—far more than the number of deaths due to HIV/AIDS, tuberculosis, and malaria combined. In addition, air pollution contributes to disabling conditions in millions of people including asthma, chronic obstructive pulmonary disease, and heart disease and stroke. Cutting back on burning fossil fuels and biomass would have immediate health benefits, and also meet climate change mitigation goals, the authors wrote. They urge delegates at the United Nations convention on climate change in Marrakech this month, and the incoming U.S. administration, to take this into consideration. “Even climate change skeptics who deny the scale of future environmental impact should not tolerate of the millions of deaths currently caused by air pollution today,” they wrote. Are you sick? This may be why. This is where we live. Do you know someone with cancer, or maybe its a heart attack or a stroke. It could be just a chronic but life threatening condition like asthma. Or, as recently studies have indicated, air pollution induced Alzheimers disease. Whatever it is, the reason could well be the enormous level of pollution we are forced to breathe each day just so other places can flip the switch and completely lack the understanding that they are causing us severe health problems. Aerial Photo of the AEP Rockport Power Plant: © 2016 BlairPhotoEVV. Give Gov. Matt Bevin’s environmental secretary credit. When asked about the prospects for Eastern Kentucky’s coal industry, he was honest — unlike all the misleading political ads and mailings that are bombarding Kentuckians. What Secretary Charles Snavely said was important, but how he prefaced it is even more enlightening in this election season. OK. He seems to be saying Kentuckians can’t handle the truth. But why? What myth is it so important to perpetuate? Snavely, a mining engineer and former coal-company executive, went on to say that he sees no rebound for Eastern Kentucky’s coal jobs anytime soon. He based his prediction on world economic conditions, cheap natural gas and an uncertain regulatory environment that discourages electrical utilities from building new coal-fired capacity. Plus, thermal (the kind for power production) coal from Eastern Kentucky has a unique market disadvantage. Because the remaining seams are thin, it costs more to mine, which means it can’t compete on price with coal from other regions, including the Illinois Basin, Wyoming, Montana and even Northern Appalachia — all of which produce cheaper coal than Eastern Kentucky. That honest opinion from a Republican governor’s appointee echoes what a utility executive told the Kentucky Governor’s Conference on Energy and Environment in Lexington last month. We seldom are trendsetters in Indiana. And for the most part that’s OK. But sometimes our reluctance to accept change has serious consequences, including harming our health and our quality of life. That’s certainly been true with our slow, downright stubborn, refusal to more aggressively cut our dependence on coal as our primary fuel source for generating electricity. Nationwide, coal is used to produce only 33 percent of the electricity consumed in America’s homes and businesses. In Indiana, we still burn coal to generate about 85 percent of our electricity. Only three states — West Virginia, Kentucky and Wyoming — are more dependent than Indiana on coal. To hear Indiana’s top political and business leaders tell it, the state has little choice but to continue its heavy reliance on coal. To do otherwise, they say, would risk wrecking the state’s manufacturingdependent economy because the cost of electricity would surge. Perhaps. But then why have neighboring states such as Ohio and Michigan, also centers of manufacturing, been able to significantly reduce their reliance on coal? Is Indiana’s economy really less able to adapt to change than our neighbors? Those questions arise out of an enlightening new investigation by the Center for Public Integrity, the USA TODAY Network and the Weather Channel. Their report found that about one-third of all industrial air pollution in the United States is produced at 22 sites. 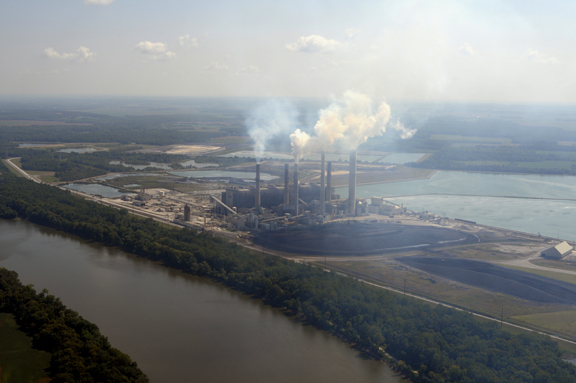 Four of them, all coal-fired power plants, are in southwest Indiana, near Evansville. The health consequences for Hoosiers, and for our neighbors in other states, are serious. Air pollution significantly increases the risk of cancer, heart attacks and respiratory illnesses, such as asthma. So yes, the average cost for electricity is a bit cheaper in Indiana than in Ohio — 11.33 cents per kilowatt hour versus 12.47 cents. But how much do we lose from higher health care costs and insurance rates? How many years of productivity are lost because workers are burdened by chronic illnesses? September 28, 2016 – by John Blair, valleywatch.net editor. 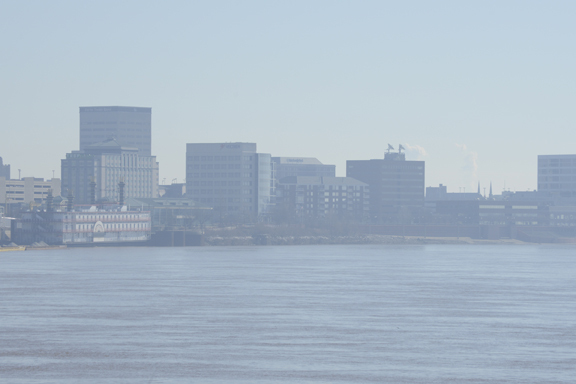 Six years ago today, a hearing was held in Louisville to take testimony from the public on whether to regulate coal ash. Today, the rule is being implemented and should go far in making areas around coal plants safer for people to live and work. This video shows me, John Blair, speaking to a rally on the steps of EON, the parent company of Louisville Gas & Electric Company. Toxic nanoparticles from air pollution have been discovered in human brains in “abundant” quantities, a newly published study reveals. The detection of the particles, in brain tissue from 37 people, raises concerns because recent research has suggested links between these magnetite particles and Alzheimer’s disease, while air pollution has been shown to significantly increase the risk of the disease. However, the new work is still a long way from proving that the air pollution particles cause or exacerbate Alzheimer’s. Air pollution is a global health crisis that kills more people than malaria and HIV/Aids combined and it has long been linked to lung and heart disease and strokes. But research is uncovering new impacts on health, including degenerative brain diseases such as Alzheimer’s, mental illness and reduced intelligence. It found abundant particles of magnetite, an iron oxide. “You are talking about millions of magnetite particles per gram of freeze-dried brain tissue – it is extraordinary,” said Maher.